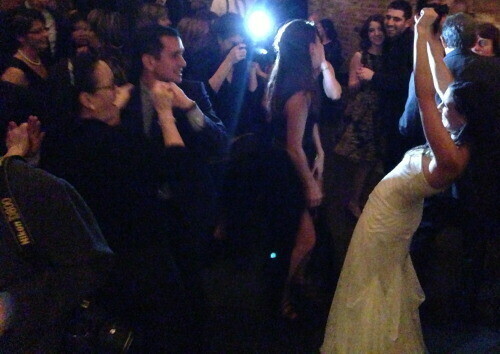 The Mayan Calendar predicted that it would be the end of the world on the day of this wedding but it turned out to be nothing but a HUGE non-stop dance fest for the Bride, Groom and their friends and family. This couple lives in Australia (the Groom is Australian) and The Bride American and guests came from all over to Celebrate. 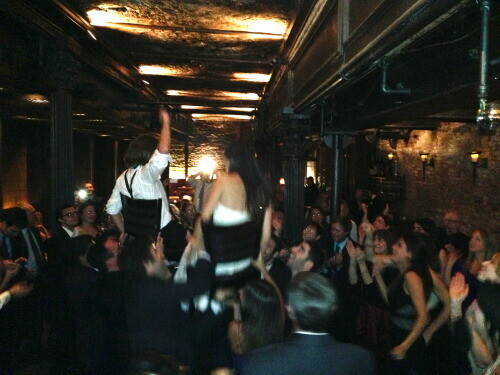 The Wedding took place at City Hall Restaurant in Tribeca NYC. 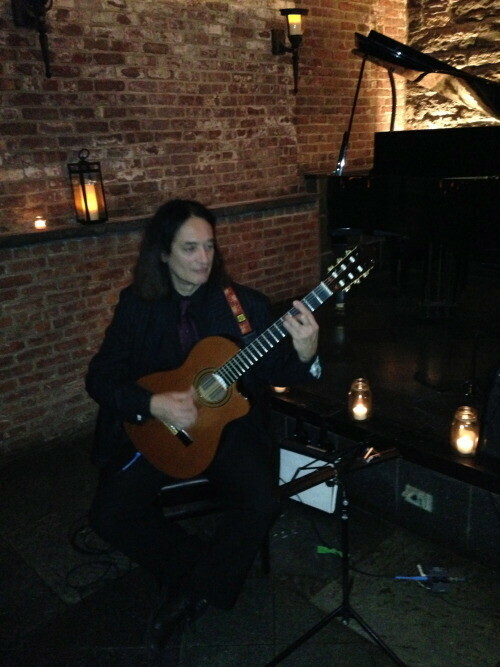 After the brief ceremony guests were treated to Expressway Music versatile Latin/American/Jazz Guitarist JP. After Cocktail hour the dancing started and didn’t stop. Expressway Music DJ Dave Swirsky played music from many genres and some Australian classics. Here is a lovely letter we got soon after the wedding from the Bride & Groom…. We wanted to write a quick note to say thanks to you guys for being a part of of our wedding celebration at City Hall Restaurant on 21st Dec 2012. 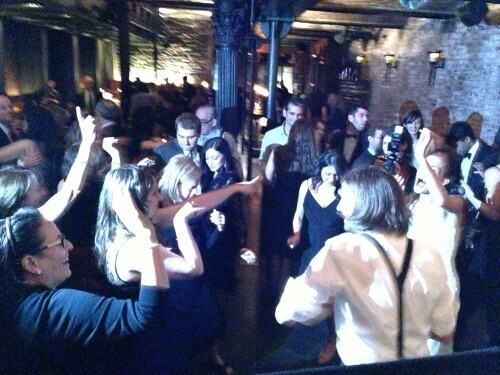 Everyone had a great time and we had so much fun dancing. Please thank the Spanish Guitarist for us, we apologize but we forget his name. 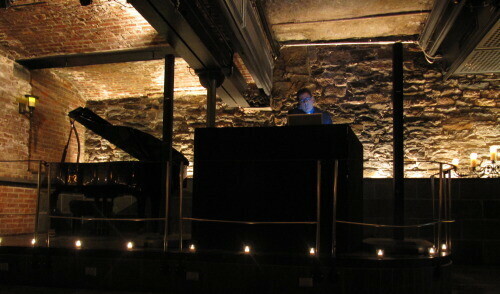 It was really nice to have him playing after the ceremony, a lot of people commented that it was great music and a really nice touch. Once again a big thank you goes out to Amira and her wonderful staff at City Hall for producing another perfect wedding!!! !